Do you grow bored with your apartment furnishings and decorations – perhaps changing them frequently? Do you consider your self “artistically inclined”? Did you grow up playing Atari and Nintendo? What is the Mosaic Project? I would have answered “yes” to the above questions. When I’m home, I tend to move furniture around, repaint and rearrange things more than is probably necessary. Unfortunately for me, moving furniture and changing my artwork is a time consuming and/or expensive process. I was wondering if I could somehow build some sort of modular wall art which I could easily change the look of room without spending a lot of time and money. 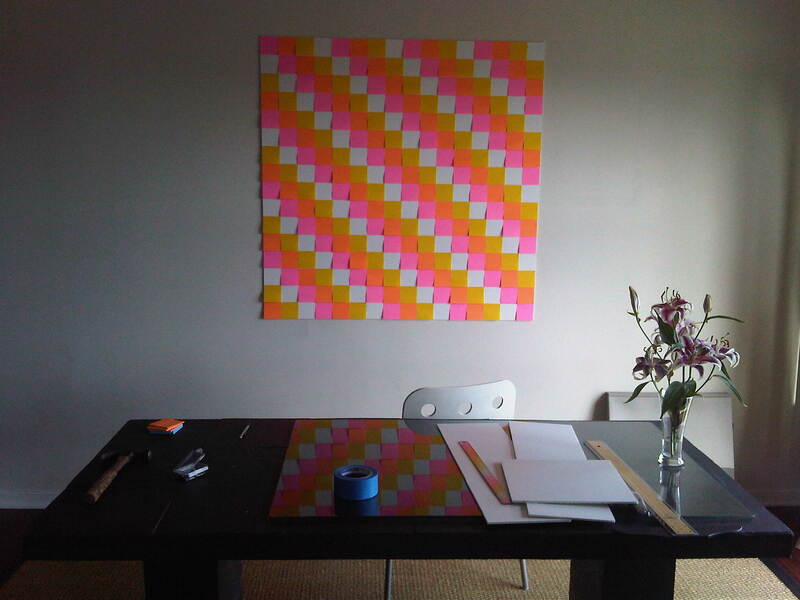 I had come across some pictures of “8 bit art” on the web where people had made some amazing wall murals using nothing but 3″ Post It notes. I wanted to take this idea and expand it to something with a little more substance than Post Its and furthermore make it easier to change the design. After much deliberation and sketches, I concluded that my first crack at this was going to involve magnets. Magnets are flat, relatively cheap and fun! Some magnetic material can be cut into whatever size you like – which is also important. 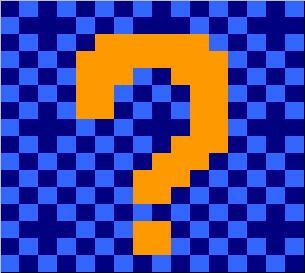 Now the harder question… What should the mosaic tiles be made out of? Plastic? Wood? The magnets themselves? For starters I decided to go with wood. I found a pretty cheap supplier of the type of wood I think I need. Plastic is surprisingly expensive unless you are buying a ton of it. Wood also seems to be a little classier. I think I can stain it if I want classier mosaics that don’t involve Nintendo characters. The base is also tricky. I probably spent the most time thinking about this. Obviously the magnets would stick well to sheets of steel. Unfortunately steel is heavy and has potentially sharp edges. You can buy perforated steel which looks cool and would be lighter but this gets expensive. Though my magnet research, I learned about a new flexible material that is “Magnetic Receptive” called FlexIron. My current plan is to either attach the magnetic tiles to one giant piece of this material, or alternatively, cut Flexiron into smaller squares and attach them to a lightweight base like FoamCore. This entry was posted in Mosiac Project, Prototype 1 and tagged 8-bit art, Mosaic Project, PostIt notes. Bookmark the permalink. YES! I have been thinking about how to design my new office and stumbled on your site.. You are now my hero/favorite person.. I will be reading all of your posts over the next couple of days because I think this is exactly what I want to do. You’re the man Drummond. Thanks for the feedback!